Two astronauts work together to survive after an accident which leaves them stranded in space. Film preceeded by a "physics roast" hosted by the University of Iowa's Society of Physics Students! Are You A Member? Click Yes To Sign In. Film preceded by a "physics roast" (aka PROAST) hosted by the University of Iowa Society of Physics Students! "Gravity is nothing less than a five-star 2001: Space Odyssey for a whole new generation of movie lovers. Take the ride." 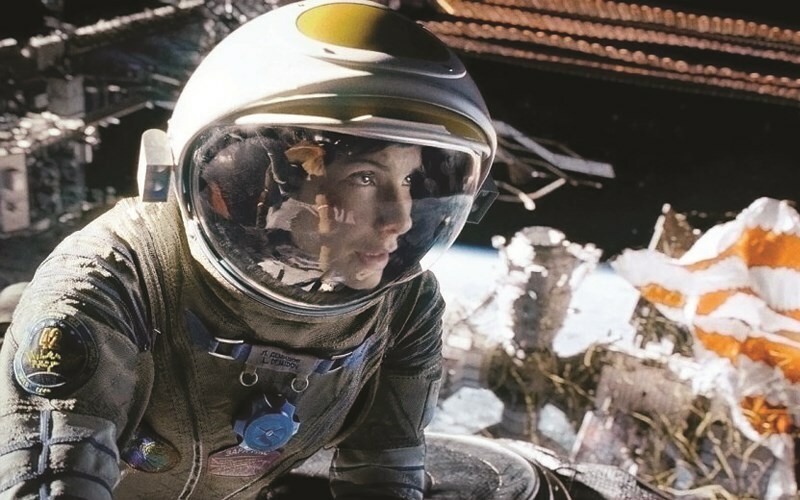 Receiving seven Oscar wins, Gravity stars Academy Award winners Sandra Bullock and George Clooney in a heart pounding thriller written, directed and produced by Oscar winner Alfonso Cuaron, and is set in the infinite and unforgiving realm of deep space. The shuttle is destroyed, leaving the two completely alone - tethered to nothing but each other and spiraling out into the blackness. The deafening silence tells them they have lost any link to Earth...and any chance for rescue. As fear turns to panic, every gulp of air eats away at what little oxygen is left. But the only way home may be to go further out into the terrifying expanse of space. Presented as part of Science on Screen® - An initiative of the COOLIDGE CORNER THEATRE, with major support from the ALFRED P. SLOAN FOUNDATION.